Emma Magdalena Rosalia Maria Josefa Barbara Orczy, aka Baroness Orczy, was born today in 1865. 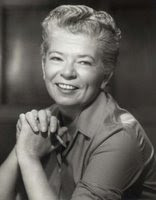 Best known for the gallant Scarlet Pimpernel, she also wrote some memorable mysteries: Stories (1908) with Bill Owen, aka "The Old Man in the Corner," often considered the first appearance of the modern armchair detective; and Lady Molly of Scotland Yard (1910), in which Lady Molly and her maid Mary Granard join Scotland Yard's "Female Department," as Lady Molly seeks to exonerate her wrongly accused husband. The York Theatre Royal (UK) staged a production of Lady Molly in 2006. Simon Brett's actor-sleuth Charles Paris, who has frequent issues with alcohol and young women, appears this week on BBC Radio 7 in So Much Blood, in which Paris performs in a one-man show on Thomas Hood in the Edinburgh Festival and turns up a body as well. Go here for the schedule or to listen. You also can listen to Brett reading from his Murder in the Museum (and doing all the characters' distinctive voices) here. Of course it's been all over the news how J. K. Rowling won a lawsuit, thus preventing The Harry Potter Lexicon by librarian Steve Vander Ark from going to press. Vander Ark and his publisher, Roger Rapoport, are appealing. I was especially interested to see an article on the case in the September 15th Publishers Weekly that quotes intellectual property attorney Richard Dannay of Cowan, Liebowitz & Latman, who discusses the decision's potentially disturbing effect on reference works, as the nature of the latter demands "detailed information" about their subjects. What the PW article does not note is that Dannay is the son of the late Frederic Dannay, aka one-half of Ellery Queen, so I see Richard Dannay as possessing an interesting view of the situation that is more multifaceted than the single perspective of attorney. As a writer, I can understand Rowling's right and wish to benefit from her own work. But as someone who also has edited ten scholarly journals and is editing a reference series, I worry about the effect of the decision on fair use and comment. Will it stifle literary criticism and free speech? Will authors use the decision as a club in an effort to control what is said about them and their work? Will writers and researchers, fearing litigation, not pursue that exciting new line of inquiry about a subject and fall back on well-trodden intellectual ground, or only research writers who are safely dead? Authors may argue for researchers to pay a permissions fee to quote extensively from their work, but scholarly works are generally not bestsellers, academics usually do not receive advances, and academics often have to pay high fees from extremely slim purses to reproduce images and other materials. Thus, an academic author or independent scholar could easily find himself or herself in a financial hole after publishing a reference work, which hardly creates a conducive environment to produce such works and therefore would limit the avenues of solid information about a subject. According to the PW article, Stanford Law School's Fair Use Project is thinking along the lines that I have raised, because it is assisting Rapaport with legal representation. Famed British illustrator Arthur Rackham was born today in London in 1867. Dover Publications has published several collections of his work, including illustrations for Rip Van Winkle and The Wind in the Willows. And Thomas H. Cook, Edgar winner for The Chatham School Affair (1996), turns 61 today. Also known for his true crime works, he is an editor of the series The Best American Crime Reporting. The effect of a murder trial on a small Pennsylvania town is the focus of James Gould Cozzens's The Just and the Unjust (1942), which is mostly told through the point of view of Abner Coates, the young assistant district attorney. Because the victim is an unpleasant farmer involved with drugs and the accused perpetrators little more than thugs, the local law enforcement community regards the case more as a matter of duty than one of justice. The flamboyant defense attorney seems more interested in scoring points against the methodical district attorney, and Coates, who is the son of a prominent judge and is approached to run for DA by the local political boss, wonders if he will lose his soul if he takes the job. Cozzens's honest, direct prose and grappling with legal dilemmas are refreshing to read, and he has a sure understanding of the myriad connections, political implications, and personal and professional troubles in a small town. Cozzens (1903–78) is best known for the World War II novel Guard of Honor (1948), for which he received a Pulitzer Prize. Herbert Gorman in the July 26, 1942, New York Times considered The Just and the Unjust "an analysis of what might be called the American way of discipline." Time magazine called The Just and the Unjust "as skillfully served up as The Postman Always Rings Twice [and . . .] the year's most interesting literary disappointment." Yet Time put Cozzens on the cover of its Sept. 2, 1957, issue, calling him "the Garbo of U.S. letters" in its accompanying story. Richard Stark (aka Donald Westlake). The University of Chicago Press blog talks about the press's reissue of the Parker novels (The Hunter; The Man with the Getaway Face; Outfit) by Richard Stark (aka Donald Westlake). Go here for further details and an interview with the author. Thirty years ago today, the Grateful Dead performed in Cairo, Egypt. Go here to see a clip of "Fire on the Mountain" from that performance. Coinciding with Agatha Christie's birthday today, writer Andrew Eames follows the path of Christie's 1928 trip to the Middle East in The 8:55 to Baghdad, which airs this week on BBC Radio 7. Go here for the schedule or to listen. Also airing: Christie's One, Two, Buckle My Shoe; further adventures with the swashbuckling Dr. Syn by Russell Thorndike (brother of actress Dame Sybil Thorndike). 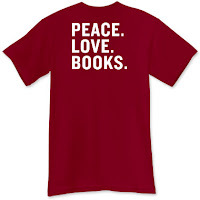 Online community featuring independent bookstores. IndieBound (formerly BookSense) is a new online community supporting independent bookstores; the site includes bestsellers at independent bookstores, recommended books from indy booksellers, profiles of independent bookstores (the first one is Malaprop's in Asheville, NC), and a store locator. Else Holmelund Minarik, creator of the beloved Little Bear series (featuring drawings by Maurice Sendak) and other works for children, turns 88 today. Little Bear debuted in 1957 in the eponymous Little Bear. Little Bear's Visit (1961) placed as a runner-up for a Caldecott Medal. And writer and wartime casanova Roald Dahl was born today in Wales in 1916. (See the newly released The Irregulars: Roald Dahl and the British Spy Ring in Washington for further details on Dahl's war work—and more amorous adventures). Armstrong (1905–69) is probably best known for the Edgar-winning and Anthony Boucher favorite A Dram of Poison (1956) and The Unsuspected (1946; film 1947). Further details about the biography here. About the photo: Charlotte Armstrong Lewi, courtesy of Jerry Lewi, the Charlotte Armstrong Family Trust. The Curious Expeditions blog has an interesting write-up (with photos) on Pennsylvania's grim Eastern State Penitentiary, which was in use from 1829 to 1971 and housed, among others, bank robber Willie Sutton and Al Capone. It is now open to the public. About the photo: The Night Watch Gate at Eastern State Penitentiary. Photo by Andrew Garn. 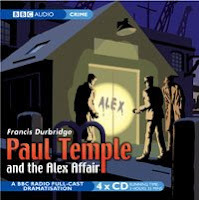 Playwright Christopher Marlowe turns spy this week on BBC Radio 7's The Christopher Marlowe Mysteries. For the schedule or to listen, go here. Buy a Reichs novel, build a home for a wounded veteran. Houston's Murder by the Book is donating 10 percent of sales of Kathy Reichs's new novel Devil Bones to the nonprofit Helping a Hero.org, which builds homes for seriously wounded servicemen and -women and provides other services to these individuals and their families. Reichs's sister is involved with the organization. The Baseball Historian is presenting podcasts of classic moments in baseball history and interviews with players. Recent programs focus on Sandy Koufax, Roger Maris, Pee Wee Reese, Babe Ruth, and the 1949 World Series. For more on Koufax, listen to this NPR piece on famed broadcaster Vin Scully's call of Koufax's no-hitter on June 30, 1962. 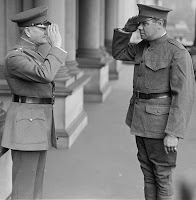 About the photo: Babe Ruth (right) with Gen. "Black Jack" Pershing, May 28, 1924. Library of Congress, Prints and Photographs Division, reproduction no. LC-DIG-npcc-11507. The Orwell Prize is posting George Orwell's diary entries, day by day. So far, it's mostly Orwellian musings about the weather and nature. There are also two upcoming volumes of Orwellian essays: Facing Unpleasant Facts: Narrative Essays and All Art Is Propaganda: Critical Essays. "Learning about history is an antidote to the hubris of the present"
Read this interesting, albeit distressing, piece by David McCullough on the history illiteracy of U.S. young people. He mentions how one class could not identify the significance of Gen. George C. Marshall and compares the hugely expensive (and ultimately fatal) Boston Big Dig to the under-budget, still working, ninety-four-year-old Panama Canal. My civil engineer father, who helped build part of New Jersey's highway system, wished most of all that he could have participated in the canal's construction. He considered it the ultimate engineering marvel. On this day fifty years ago, Dr. Zhivago by Boris Pasternak was published in the United States. Pasternak was awarded the Nobel Prize for Literature later in 1958, but was prevented from receiving it by the Soviet government. His son ultimately accepted the award in 1989, nearly thirty years after Pasternak's death. Wrote Time magazine in December 1958, "...there is something about Zhivago's very weakness that gives him strength." Cyril Hare, the creator of lawyer sleuth Francis Pettigrew, was born today in Mickleham, UK, in 1900. Hare, the pseudonym for judge Alfred Alexander Gordon Clark, wrote nine mystery novels and was a talented short story writer; his favorite of his work is said to be Tragedy at Law (1942). He has an interesting piece in Michael Gilbert's Crime in Good Company (1959) on the classic mystery and served as an inspiration to Gilbert to pursue a mystery writing career. See Martin Edwards's essay on "The Reluctant Detective: Francis Pettigrew and Cyril Hare" here. Room 26 Cabinet of Curiosities of Yale's Beinecke Library gives us a peek into the appealing scrapbooks of mystery author and humorist Carolyn Wells (1869?–1942); her novel The Clue (1909) appears on the Haycraft-Queen Cornerstone list. She was married to Hadwin Houghton, son of publisher Bernard Houghton (of Houghton Mifflin). Her Sherlock Holmes parody "The Adventure of the Clothes-Line" (1915) can be found in The Game Is Afoot (ed. Marvin Kaye, 1994). The Library of Congress inaugurates its new art-deco theater at the library's audiovisual conservation center in Culpeper, Virginia, with showings of The Maltese Falcon on September 4 and 5th. It will be followed by other films from the National Film Registry (those movies deemed culturally, historically, or aesthetically important), such as Shane (September 9), Shadow of a Doubt (October 3), and Out of the Past (October 7). The official press release with the film schedule can be found here. Tarzan creator Edgar Rice Burroughs was born today in Chicago in 1875. His highly imaginative works include A Princess of Mars (1917), The Land That Time Forgot (1924), and Pirates of Venus (1934). Tarzan debuted in 1912 in All-Story Magazine and first appeared in book form in Tarzan of the Apes in 1914. Tarzana, near Los Angeles, was named for Burroughs's famous creation in 1927 after Burroughs had lived in the area at Tarzana Ranch. About the photo: A bookplate of Edgar Rice Burroughs, dated bet. 1914 to 1922. Library of Congress, Prints and Photographs Division, reproduction no. LC-DIG-ppmsca-15527.